How to Tell If a Blue Diamond Is Real? Look at the rock with a loupe to find imperfections signaling a diamond. 2 How to Tell If a Blue Diamond Is Real? Determining whether a rock is a diamond or fake stone can be extremely difficult. Even well-trained gemologists and diamond experts are fooled by sophisticated man-made diamonds and diamond overlays. Ideally, an independent jeweler would appraise a rock for you. However, this can be expensive, time-consuming and impractical. Knowing the basic qualities of a diamond, however, reduces the possibility you will be lured into purchasing a fake stone like cubic zirconium, moissanite, quartz or glass. Assess the rock's reflectiveness. 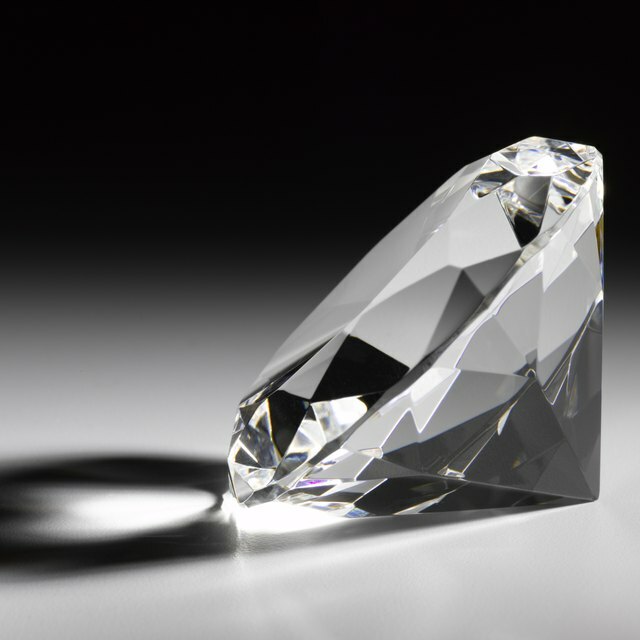 Diamonds rank high on the refractive index, meaning they sparkle and reflect lots of light. It also is not possible to look through a real diamond. Place an unmounted rock on newspaper; if you can see the print or images through the rock, it probably is not a diamond. If the rock is mounted and you can see through the top of the stone to the setting, it probably is not a diamond. Inspect the rock's color. Diamonds are gray or clear in color. Place the stone on a white surface, such as a fresh sheet of paper. A rock showing an array of color is, at best, a low-grade diamond or possibly a fake stone. 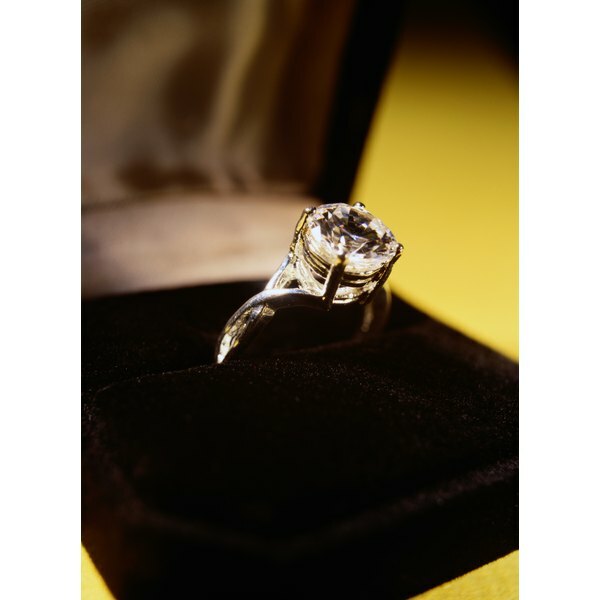 Likewise, a diamond will show gray or clear color from all angles, while a fake stone has color only on top of the rock. Test the rock's ability to absorb heat. Diamonds are heat resistant. Either they will not heat when tested or, if they do, the heat will quickly dissipate. Ask the seller for a heat probe, which is a tool of the trade, and conduct a test to see how the rock reacts to heat. A heat probe test is one of the safest, fastest and cheapest ways to inspect a diamond; if it is a gem, the heat will not cause any damage. Conduct a water test. Another fast and easy way to determine whether a rock is a diamond is to place it in water. Diamonds tend to sink while fake stones tend to float. Once you have confirmed a rock is a diamond and you have purchased it, have it registered, fingerprinted and insured to protect against any loss. When in doubt, ask the seller of the rock for a diamond certificate from an independent diamond grading authority, such as the Gemological Institute of America. A reputable diamond dealer will be happy to provide such documentation. What Is a Good Color & Clarity of a Diamond? What Does CTW Stand for in Relation to Diamonds?